EZ-Access Gateway Solid Surface Portable Ramp from HealthyKin.com features a seamless non-skid driving surface. The Gateway ramp is a safe, secure and ideal for scooters, walkers wheelchairs, canes, and crutches. 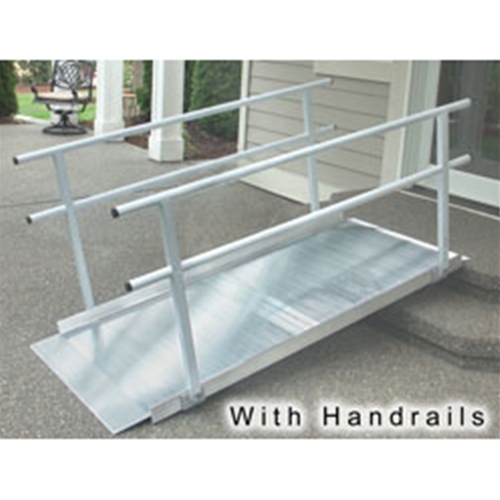 Heavy duty and extra wide, this 36" ramp features an 850-pound weight capacity and easily accommodates wider chairs. Extruded aluminum handrails (optional) give a clean and modern appearance that will coordinate with any home. 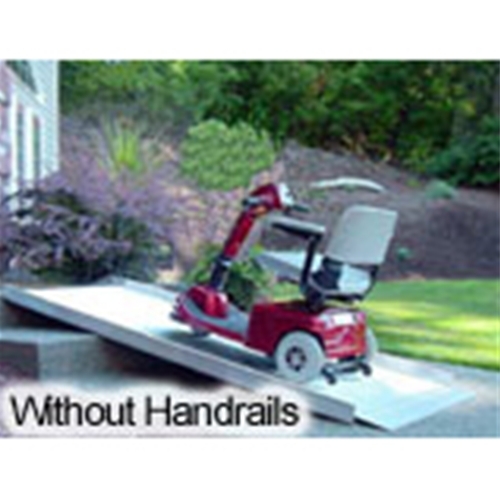 This lightweight ramp is ideal for temporary or semi-permanent home access. It was so easy to install I put the 10' ramp together faster then it took me to unpack it.